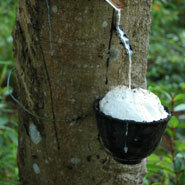 Grown on large tropical plantations, the hevea tree conceals a precious and exceptional product: its milk. Spiral incisions are made into the tree’s bark releasing this virgin hevea milk which is then harvested. The hevea milk is refined using a unique artisanal process, resulting in the incomparable and completely natural LACTAE HEVEA® sole. 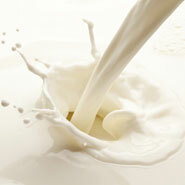 The purity of the virgin hevea milk results in the creation of an exceptional natural sole.